Want to linger in the lap of luxury at the 56th-annual Fort Lauderdale International Boat Show? The royal treatment can be yours thanks to the new VIP Boat Show Experiences program, which is offering boat show perks like never before. It’s part of several new attractions being offered at the world’s largest in-water boat show, set to take place in the “Yachting Capital of the World” from Nov. 5 to 9 at several locations throughout the Fort Lauderdale area. The event typically attracts thousands of boating enthusiasts and marine businesses from around the world. This year, VIP attendees will be treated to the convenience of on-site valet parking, entry to the boat show and all-day access to the air-conditioned VIP lounge located at the Hall of Fame Marina, which will feature gourmet food and a premium open bar. Other perks include access to a variety of private boat show events. To offer the service, Show Management, the organization that produces FLIBS, has hired QuintEvents, known for delivering high-impact experience packages at prestigious events such as the Kentucky Derby, the Super Bowl, the NBA All-Star Game, the Breeders” Cup, Barrett-Jackson classic car auctions and the Formula 1 Gran Premio de México. One-day VIP Boat Show Experiences passes are $399 per person for Thursday, Friday or Saturday. Three-day passes are available for $1,099. The Sailfish Pavilion at the Greater Fort Lauderdale/Broward County Convention Center will glow on Nov. 6 for the Blue Party, a fun-filled night specially planned for exhibitors featuring entertainment, music and fashion. Raffle tickets and prizes will benefit the Children’s Diagnostic & Treatment Center, a nonprofit organization that annually serves more than 11,000 children with special health care needs in Broward County. 50 feet and complimentary attractions created with families in mind, including fishing and boating workshops by the IGFA School of Sportfishing, Hook the Future fishing clinics, marine seminars and an art exhibit by The Blue Wild. There also will be live watersport demonstrations at the AquaZone, a 15,000-gallon, 25-by-50-foot pop-up pool. 3 million square feet of exhibit space. 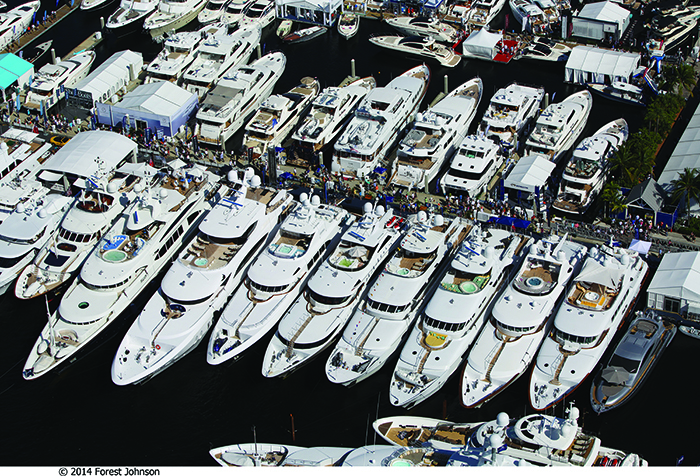 The show’s network of parking, ground transportation, water taxis and riverboats transports visitors to see an amazing array of marine products and accessories – from dazzling super-yachts, fishing boats, runabouts and boats for every budget, to fishing gear, marine art and jewelry, all valued at more than $4 billion. The show draws more than 1,000 exhibitors from more than 30 countries each year. ? Even more big things are ahead in future years for the Fort Lauderdale International Boat Show with the redevelopment plan for Bahia Mar, the epicenter for the show. While FLIBS currently makes use of major tents to house exhibitors, the renovation will add 200,000 square feet of exhibition space that will be used as a 500-car parking garage the rest of the year. Two 39-story condominium towers are also planned at the Bahia Mar site, along with a Bahamian-style fishing village and an 18- to 20-foot-wide promenade along the Intracoastal Waterway. Bahia Mar’s four signature restaurants will all be on the waterfront and one of them will have marina and ocean views, says developer James Tate of Tate Capital Real Estate Solutions. The 56th-annual Fort Lauderdale International Boat Show will take place from Nov. 5 – 9 at the Bahia Mar Fort Lauderdale Beach Hotel & Yachting Center, Hall of Fame Marina, Las Olas Municipal Marina, Hilton Fort Lauderdale Marina, Sails Marina, Hyatt Regency Pier 66 Marina and the Greater Fort Lauderdale/Broward County Convention Center. 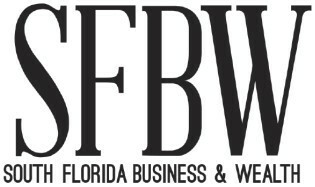 For more information and tickets, visit flibs.com or call 954.764.7642 or 800.940.7642. Buying a yacht requires special expertise to help make the right decisions. SFBW asked Juan Toro, managing director and private client advisor for U.S. Trust, which has a marine financing group with an average of 18 years experience in the field, to answer some of the most important questions about yacht financing and the purchasing process. What types of examinations are necessary when purchasing a yacht? With any yacht purchase, it is important to obtain a condition and value survey from a reputable surveyor to identify and detail structural and equipment defects and recommendations for their repair. It is also important to obtain a separate engine survey to similarly identify any issues that may be present. Not only is this information beneficial for your own personal knowledge, but it is required if you are seeking financing for the purchase of the yacht. Are there any pitfalls to avoid when reviewing a yacht contract? Before signing a contract for the purchase of a yacht, ensure that the contract clearly states that the purchase is subject to a satisfactory survey and sea trial. If financing, the contract should also include a financing contingency. Allow yourself about a month lead time to conduct the survey and sea trial, and if financing, extend this timeline to about 90 days. Make sure that your deposit is refundable until you are required to accept or reject the yacht, which will happen after the satisfactory survey, sea trial and loan approval, if applicable. Finally, an attorney, preferably a maritime attorney, should review the contract before signing. Can you use the same company that handles your homeowners insurance to insure your yacht? While many homeowners insurance plans will have minimal coverage for smaller boats, they will not provide the coverage you need for a yacht. To that end, yachts should be insured using an insurance broker with a yachting practice (not your homeowners insurance company) that will understand the unique insurance needs and issues surrounding yacht ownership. What is the most important factor to consider when hiring crew members? When making hiring decisions, the dynamics between the crew and an owner can make or break your yachting experience. Striking the appropriate balance between friendship and professionalism with the captain is key. If done correctly, both you and your crew will not only be happier, but also more likely to stay in yachting for a longer period of time. How can a financial advisor guide yacht acquisitions? Buying a yacht is both a personal and an emotional experience. Since it’s an exciting time, it is easy to make mistakes if you don’t have the right yachting professionals on your team. A U.S. Trust private client advisor can help guide you through the acquisition process and ensure you have the proper coverage so you can enjoy your yacht worry-free once the purchase is complete. ?